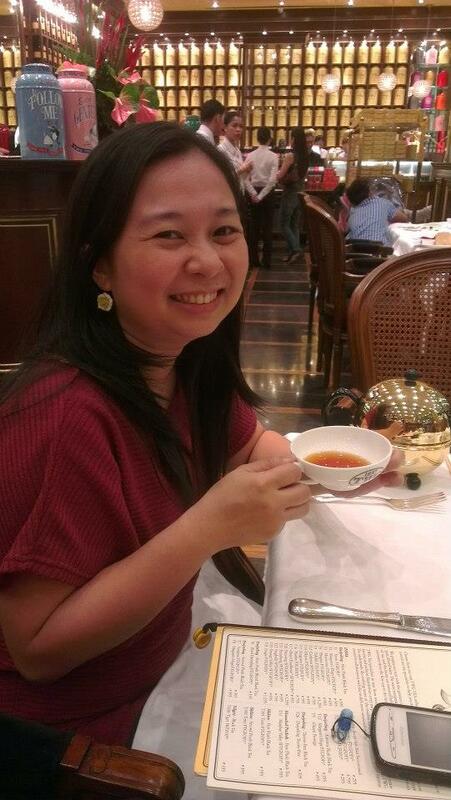 Tea time at TWG Tea Salon & Boutique Greenbelt - Hits and Mrs. 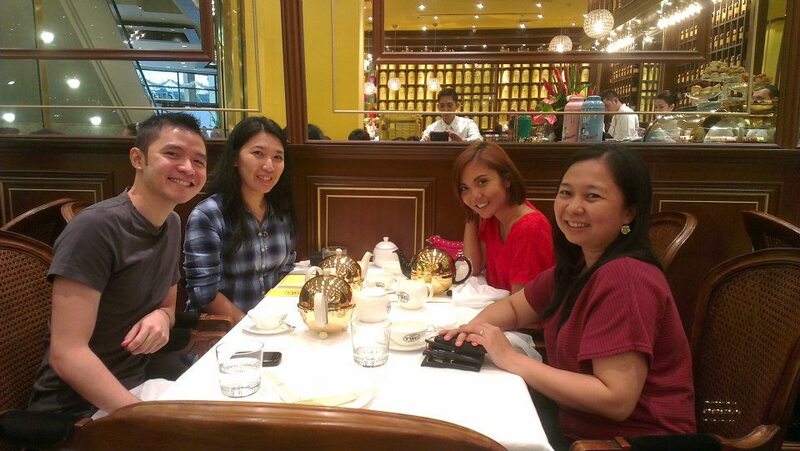 Pretty much a late post, because my colleagues and I actually dined at TWG Tea Salon & Boutique last week. But the experience was very much worth it. I mean, it’s not everyday that I get to do something indulgent when it comes to food. The china, the silver, the linen, the menu. Lovely. We prepared for this probably-once-in-a-year-if-not-a-lifetime event, which is to eat at this really posh tea salon in Greenbelt 5. The store was pretty intimidating, with its gold and brown interiors reminiscent of Singapore in the 1800s. But the staff was very accommodating, answering our queries from the teas they offer to the food that could match the drink you like. I was pretty set on the tea that I wanted: Chocolate Mint Truffle Tea. Chocolate Mint Truffle Tea, PHP195 for a pot.. It’s like red tea with hints of chocolate and a minty aftertaste. I kinda like it. My friends weren’t sure what to get, though, so the waiter was kind enough to make us smell a few sets of tea leaves. One of them opted for the same tea as mine, the other went for Silver Moon, a kind of green tea with hints of fragrant strawberry. She paired her tea with the one thing she wanted to order: Wagyu Burger. Wagyu Burger, PHP570. Photo courtesy of my friend who ordered this. Hehe. My other friend had Eggs Benedict. 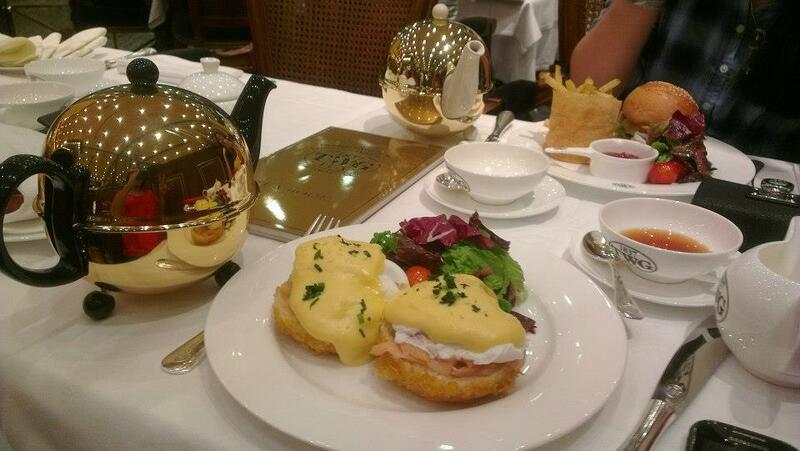 Eggs Benedict, PHP420. I thought they were huge eggs. Apparently, they were on a half bun. Comes with a salad. 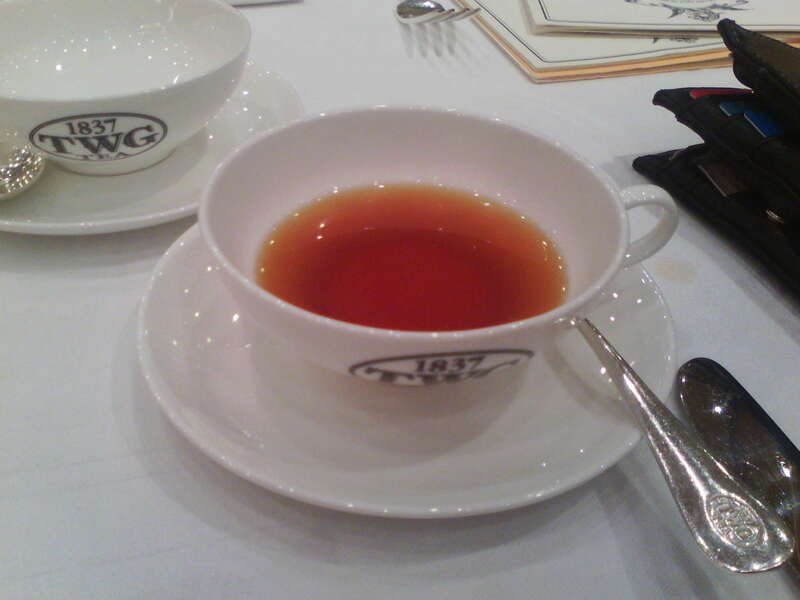 As for me, the waiter recommended that I go for something light to complement the taste of the tea that I chose. So I went with the TWG Tea Salad. 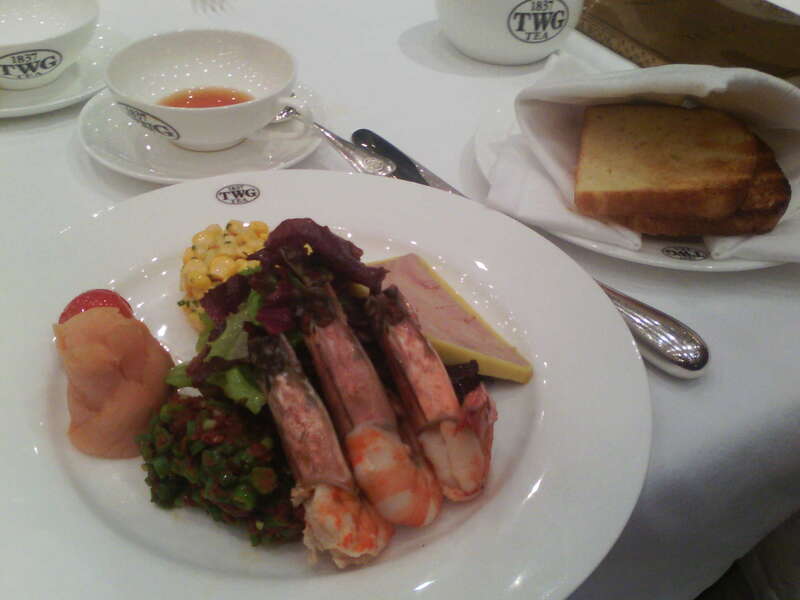 TWG Tea Salad, PHP475. With shrimp, salmon, foie gras, and 2 slices of bread. My other friend, who came it a bit later, ordered Bain de Roses Tea Macarons at PHP50 each. He said it tasted like rose. I didn’t attempt to taste it. Hehe! Enjoying my tea, the shiny interior as the backdrop. To be honest, I wasn’t really sure if my tummy would be satisfied with the salad I ate. I got surprised that I felt full even before I finished my plate. I think the foie gras did it. 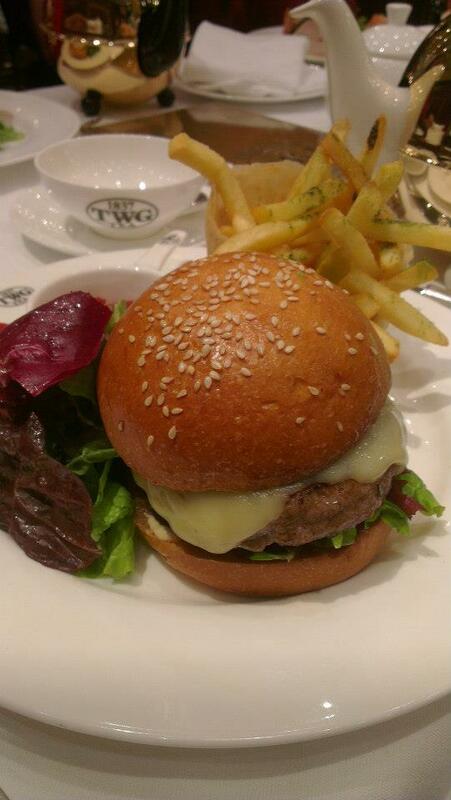 We almost didn’t push through with eating at TWG. Good thing we decided not to miss this experience. Happy smiles there. 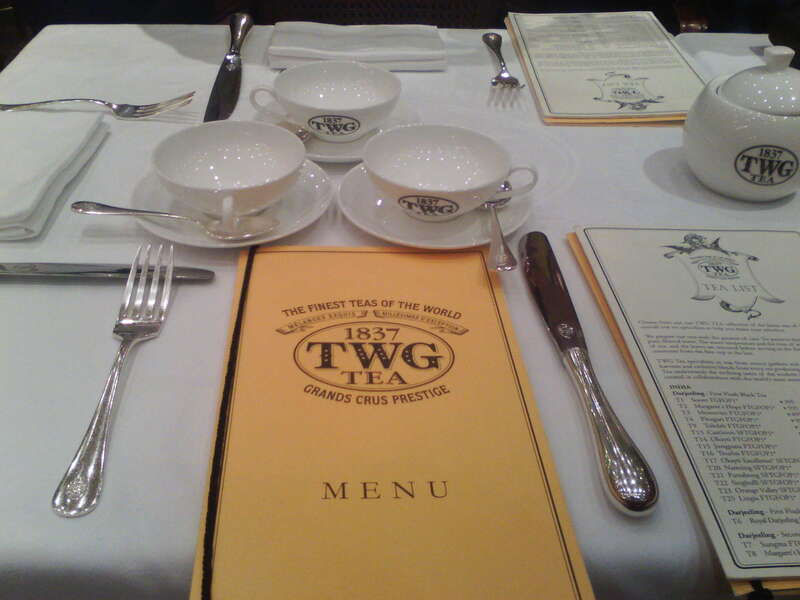 The verdict: Yes, we were so glad that we went on with the plan of dining at TWG. It may be pricey (for us “commoners”, LOL!) but the food was superb and the tea selection was “wow”. The staff was great, too. I never thought I’d be literally splurging on food. But then, I think it’s good to really indulge once in a while. ty maam for your comment in TWG. its our pleasure to have u as our guest.